A. Manette Ansay grew up in Wisconsin among 67 cousins and over 200 second cousins. She is a New York Times best-selling, award-winning author of six novels, including: Vinegar Hill, an Oprah Book Club selection; Midnight Champagne, a finalist for the National Book Critics Circle Award; Sister; River Angel; and Blue Water, a Target Book Club Selection, as well as a short story collection, Read This and Tell Me What It Says, and a memoir, Limbo. Her stories and poems have appeared in many publications, including The North American Review, Story, and The Pushcart Prize Anthology. Her latest novel is Good Things I Wish You (HarperCollins). Ansay's awards include a National Endowment for the Arts Grant, a Pushcart Prize, the Nelson Algren Prize, a Friends of American Writers Prize, and two Great Lakes Book Awards. Ansay is a sought after keynote speaker at universities, literary festivals, fundraising events, book clubs, women's groups, and other organizations around the country. She speaks about the writing life, how she became a writer, and the myriad issues in her books. Ansay started writing as a New Year's resolution on January 1, 1988. After developing a muscle disorder, it was necessary for her to find a career in which she could spend time sitting down. Though she's since recovered, she's been writing ever since. Ansay lives with her daughter in Florida, where she teaches in the MFA program at the University of Miami. She received her MFA from Cornell University. 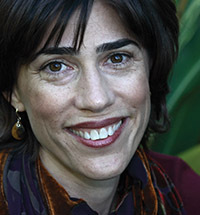 She has taught at Vanderbilt University, Marquette University, and the University of the South. "Like The French Lieutenant's Woman, Good Things I Wish You employs a rich and daring metafictional spin on one of the great romances in history to investigate passion and love -- and what doesn't change between women and men. Manette Ansay takes great risks to deliver great rewards." 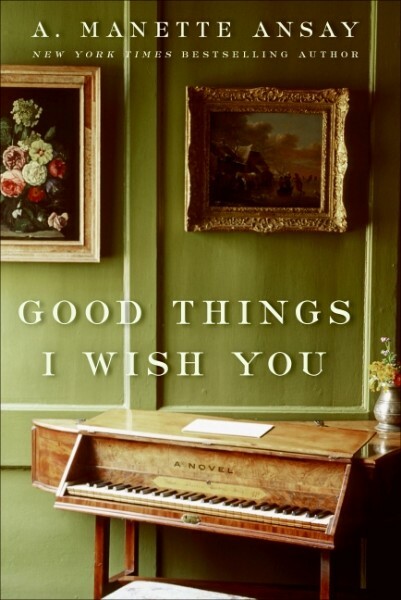 "Good Things I Wish You is a lyrical, haunting exploration of loves past and present. Witty, sprightly, surprisingly, this deeply original and utterly captivating new novel by A. Manette Ansay beguiles the senses and dazzles the heart. A beautiful book." "Ansay transcends both feminist epic and Midwestern gothic to achieve, finally, the lunar world of tragedy. This world is lit by the measured beauty of her prose, and the book's final line is worth the pain it takes to get there." "Magical... A satisfying journey to freedom... Ansay writes in a lovely voice." "A brilliant, bitter book... Manette Ansay's prose style cuts with a diamond edge." "A finely crafted novel... The characters are undeniably authentic, familiar, and often disturbing specimens of Midwestern small-town life, meticulously preserved in this intriguing literary bell jar... With Vinegar Hill, Ansay joins a list of writers...who are transforming Midwestern fiction into a new national literature. One of the best books of the year." "A remarkably well-told tale...that not only rivets our attention but floods our veins with the icy chill of recognition and understanding... Vinegar Hill is a powerful story of a haunting, not by the dead but by the living. It is a haunting you won't soon forget." "A soul aches here, and the future seems forlorn. But Sister rises above that with frankness and acuity, and the rhythmic beauty of its prose." "A deeply satisfying story... There is beauty, and clarity and much sadness in Sister... Ansay writes with grace and assurance... You feel the wonder and the terror of these scarred, ineluctably entwined lives." "Ansay's dramatic rendering of people and events...lends a powerful edginess to her prose...Sister carves out new, interesting terrain in a genre one might dub 'Midwestern Gothic'." "This is Manette Ansay's richest, most complex, most beautiful book yet." "A writer with a gift for persuasive and shapely narrative... A lucid, eloquent representation of the commingled and conflicting lives of a town." "Ansay gracefully weaves together the lives of her characters." "A. Manette Ansay's stories map the distances between ourselves and other worlds. In doing so, they remind us of how necessary our dreams and desires are to the fragile lives we piece together, and how, as much as anything, it is the act of creating and living that brings joy and redemption." "The characters . . . are like geodes: plain on the outside, but revealing, when split, unexpected colors." "An entertaining tale about love and compromise." "A funny, touching novel... [Ansay] weaves in and out of the sundry dramas with grace, warmth, and a good deal of humor." "An effervescent book that bubbles with multiple characters with varying perspectives, all memorable in their own ways...Told with savviness and a knowledge of human vagaries, this novel calls to mind the best Altman films...A lovely evocation of one of the greatest human mysteries: romantic love and the desire to connect...Ansay shows with fluid and graceful prose the uncharted paths of ordinary, flawed human hearts enacting an age-old ritual." "Manette Ansay is a powerful storyteller with lyrical gifts and a wry, observant eye." "A. Manette Ansay writes like the love child of Chekhov and Agatha Christie." "Piercing...Brilliant...A complex drama woven of grief, guilt, and the elusive but transfiguring possibility of forgiveness...[Ansay] strikes a pitch-perfect tone...Rarely do all the disparate elements of a novel come together, and resonate, as beautifully as they do in Blue Water." "Ansay's clear voice, clean style, true characters, and sophisticated plot exude a gem."